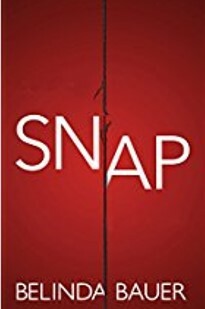 Belinda Bauer is renowned for penning thrillers with a difference; narratives that make you think deeply, and make you read late into the night - so it is of little surprise that her new novel Snap is no exception. In 1998, eleven-year-old Jack was sitting in the family Toyota with his younger sister Joy, while their baby-sister Merry was crying in the front seat. They were parked in a layby and waiting for their pregnant Mother to return from summoning help after their car broke down. But their Mother never returned. What to do? Jack is only too well aware that he has been left in charge. And three years later, he was still in charge. Why? Because nobody cared, so he had no choice but to use his talents to survive. In a different household, Catherine is also pregnant with the man she’s in love with, Adam. Unlike Jack, nothing is wrong with her world – not until Adam has to go away and a thief breaks into the house. He doesn’t steal much but he does leave a note for her, a note that ruins the peace of her life. What’s the difference between this narrative from Bauer and other thrillers? I would conjecture that it is the author’s ability to put herself into the mind of an eleven-year-old boy – and then take it from there. This gripping story is a case for the idiosyncratic Detective Chief Inspector Marvel and his sidekick Detective Sergeant Reynolds. Occasionally there is a blip in credibility, but that doesn’t hinder the pace of this excellent readable and eagerly-anticipated thriller, which will have you reading late into the night.